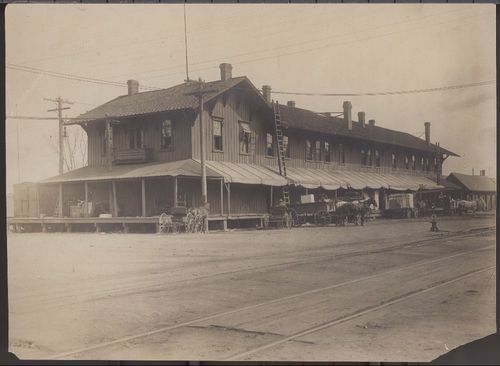 This sepia colored photograph shows the first Atchison Topeka and Santa Fe Railroad Company depot at Fourth and Holliday streets in Topeka, Kansas. The two-story wooden structure completed in 1869 served as a passenger and freight depot. The Fred Harvey House was located on the second floor of the building.